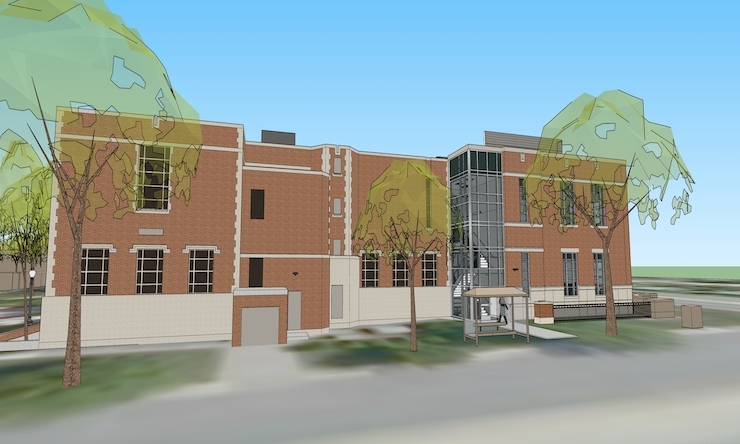 St. Ambrose University has begun construction on a major renovation of McMullen Hall that will expand the building by 15,600 square feet, providing a centralized home for the College of Business and its eight undergraduate majors and four graduate degree programs. The project is scheduled for completion by August 2020. 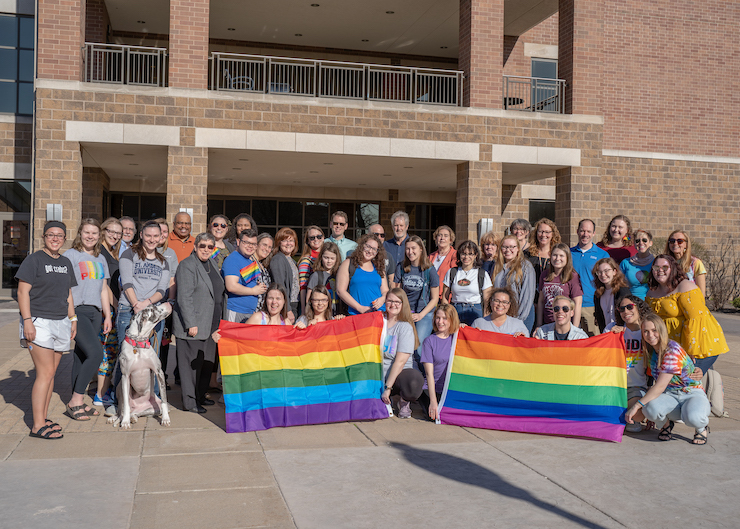 The building will remain open on a revised schedule through the remainder of the 2018-2019 spring semester and throughout the 2019-2020 academic year. The hallmark of the new construction will be a two-story, light-filled atrium. Major design features will include six classrooms able to accommodate new methods of learning and teaching, as well as two computer labs, a finance lab, a sales lab, a co-curricular lab, a large tiered lecture hall, multi-functional classroom space, and a student commons area. 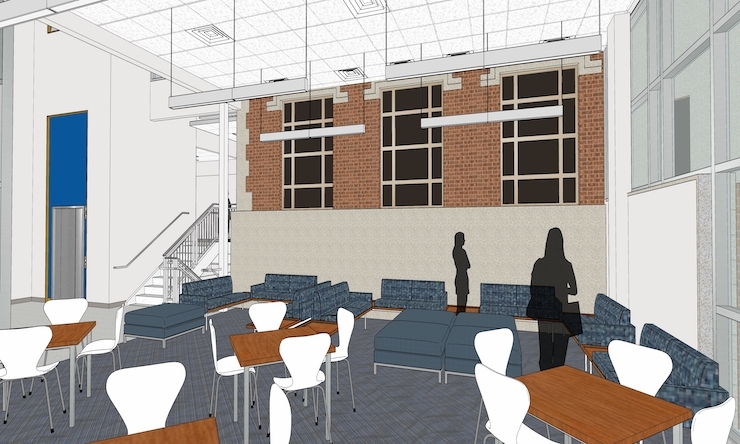 Additional interior remodeling will provide an office suite for the COB dean and office space for the COB faculty and staff. The design will match and complement the building's original exterior. Bush Construction of Davenport is the general contractor for the project. The lead architect is Greg Gowey of Studio 483 Architects in Davenport. The new and remodeled building is intended to reflect a contemporary corporate business setting. 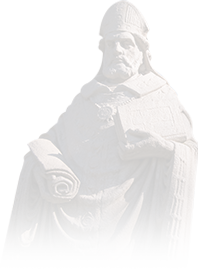 Named in honor of university founder Bishop John McMullen, McMullen Hall opened in1940 and served as the St. Ambrose library until 1995. The College of Business was created in 1987 when St. Ambrose formally became a university. 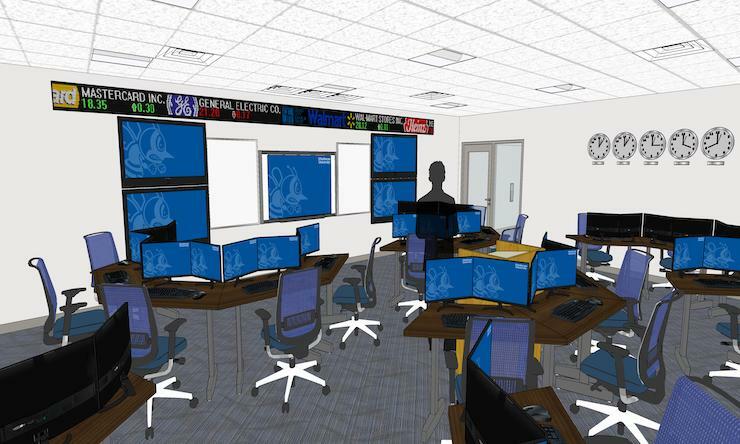 The larger and more adaptive classroom spaces and labs will allow the university to better prepare business majors to work in a global business environment. The hallmark of the new construction will be a two-story, light-filled atrium. Major design features will include six classrooms able to accommodate new methods of learning and teaching, as well as two computer labs, a finance lab, a sales lab, a co-curricular lab, a large tiered lecture hall, multi-functional classroom space, and a student commons area. "In today's competitive environment, we must be sure that the College of Business stays relevant, not only with the curriculum we offer but the way we teach," said Maritza Espina, PhD, dean of the College of Business. "Moving the College of Business to the expanded and renovated McMullen Hall will strengthen our brand, our programs, and the learning experience." Paul Koch, PhD, SAU provost and vice president for academic affairs, said the new McMullen Hall will expose business students to the kinds of advanced technology they will encounter on the job. Sister Joan Lescinski, CSJ, PhD, president of St. Ambrose, said there is great value in creating a central space where undergraduate business students and graduate students in the Doctor of Business Administration, the H.L. McLaughlin Master of Business Administration, Master of Organizational Leadership and Master of Accounting programs can see adaptation and innovation in action. "Agility is not just for entrepreneurs," she said. "A successful university must continually visualize and execute strategies that will improve the student experience and outcomes. It's time to make McMullen Hall a place for business." Learn more about the SAU College of Business.